It doesn’t take an hour to get a strong message across, as was demonstrated when three influential CIOs took the stage during CHIME TED Talks and shared best practices in areas like innovation, security, and patient engagement. The type of people you want on your team are those who crave a challenge, says CIO Craig Richardville, who discusses the value of learning from other industries, how he sees care in 5 years, and the question leaders must always ask. Offering virtual care services and e-visits is good, but it wasn’t enough, so Carolinas HealthCare took it a step further by creating an app that lets patients safely share data from wearables. And they aren’t stopping there, says CIO Craig Richardvillle. 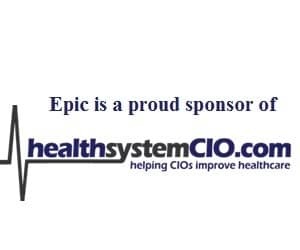 In recognition of his role in improving patient engagement, virtual care delivery and interoperability among providers at Carolinas HealthCare System, CIO Craig Richardville has been named CHIME-HIMSS CIO of the Year.